Have you ever thought how decorative a door can look? 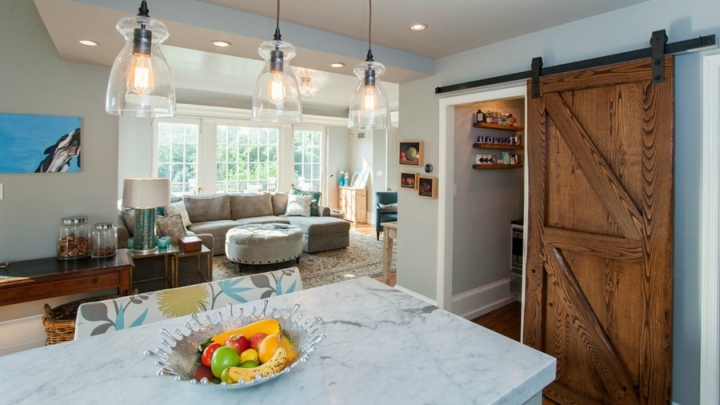 If you go for the barn doors will be, and much as it is a very characteristic style and with personality and design. They are sliding doors as those placed on American farms and you can now put in your home to close rooms or closets, divide spaces, hide things you do not want to expose … Today we have several ideas, so you know what use them You can give and what models you can place in your house. If we rely on the original barn door, American traditional, we opted for a wooden door with rustic air, even untreated, with wooden beams placed vertically and the other horizontal cross – shaped or diagonal blade. The rail is usually in the air and the door slides over it. A first utility that will give these doors is to close cabinets to hide what’s inside them. They can be very hot in the kitchen, for example, in the pantry or some smaller storage space that you want to keep away from prying eyes. You can also place them in a bookstore, in the area of washing and ironing or to cover the TV, for example. You will do it in such a decorative way that this door will take on all the protagonism. 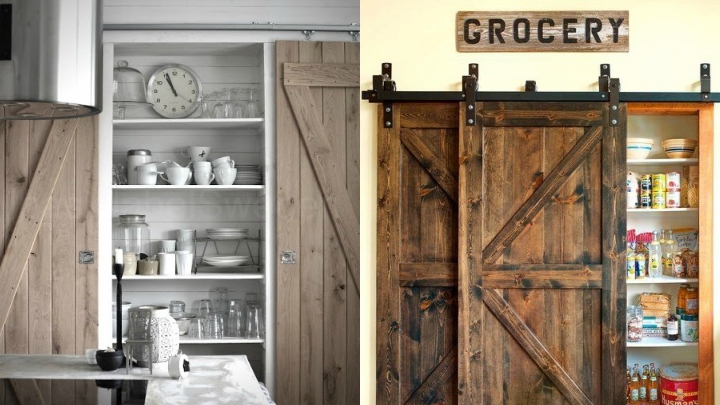 Another idea to include a barn door in your decor is to do to differentiate and separate different rooms of your home. 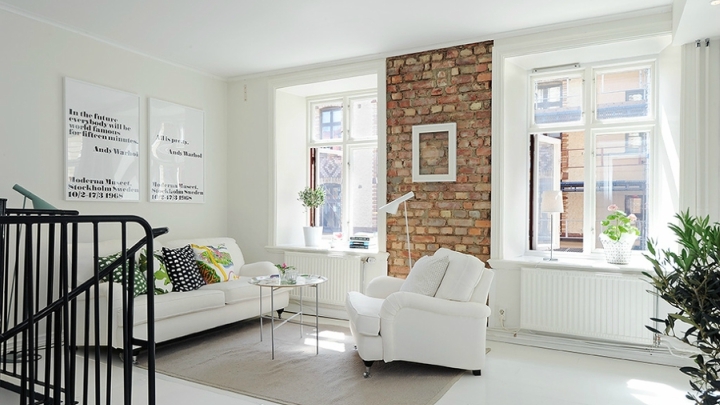 For example, they look great between the kitchen and the living room, or between the bedroom and bathroom, or in a bathroom in the hallway … Being sliding do not occupy any place and are so decorative that add an extra personality to Every corner where you dare to place it. It’s not just any door! Although the barn doors themselves are the slides we’re seeing, another very cool option is also putting a door split into two halves to keep the top open, for example, and closed down for the Small ones of the house do not enter in that certain place. With this, you allow the light to pass or you can see what is inside but you can leave the door closed. At the time of placing these doors you can bet on other types of materials other than wood such as steel combined with glass windows, with a less rustic air and something more industrial or minimalist. However, those of wood seem to me personally, the most beautiful and special, which resemble more traditional. 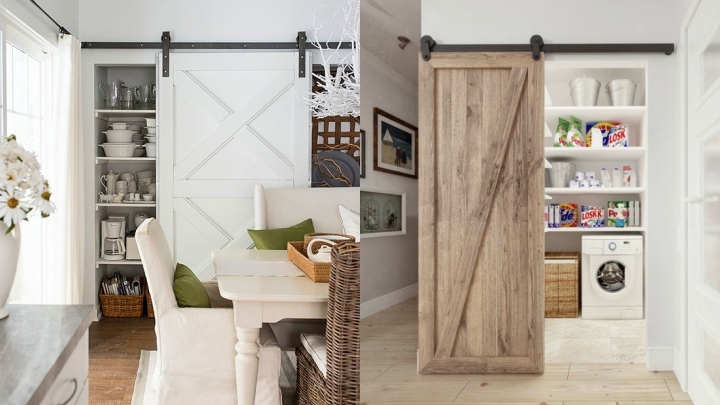 You can put a barn door of a single sheet on the rail or place two doors that are in the center when closed. 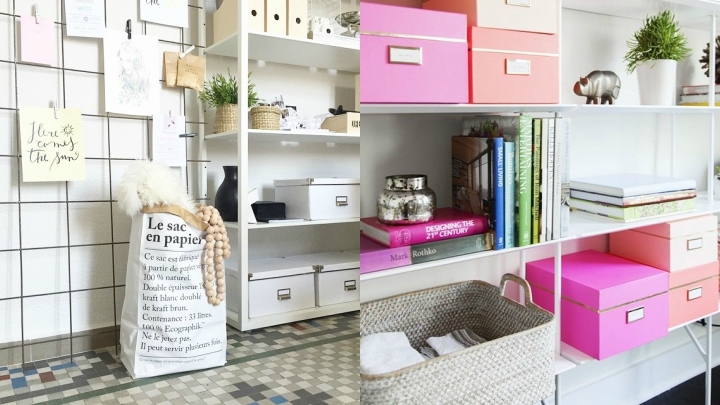 This can be useful if the space to be covered is very large.